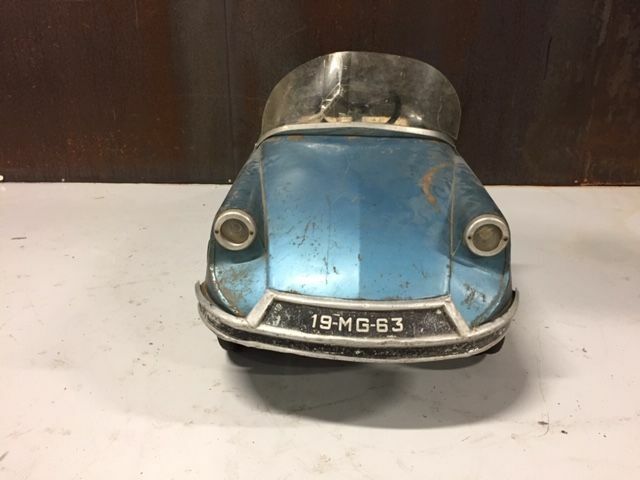 Tri-ang Citroën DS - Zeer uniek! 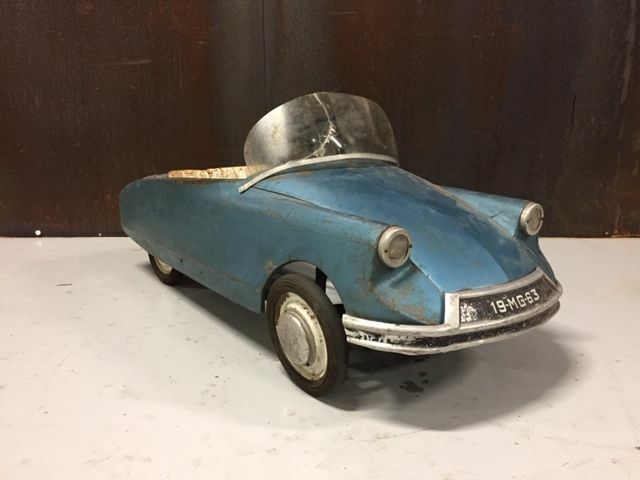 Beautiful and unique Citroën DS Pedal car from the French brand Tri-ang. 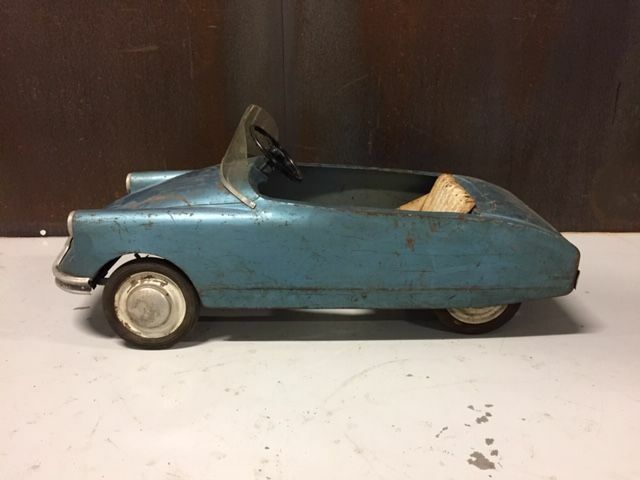 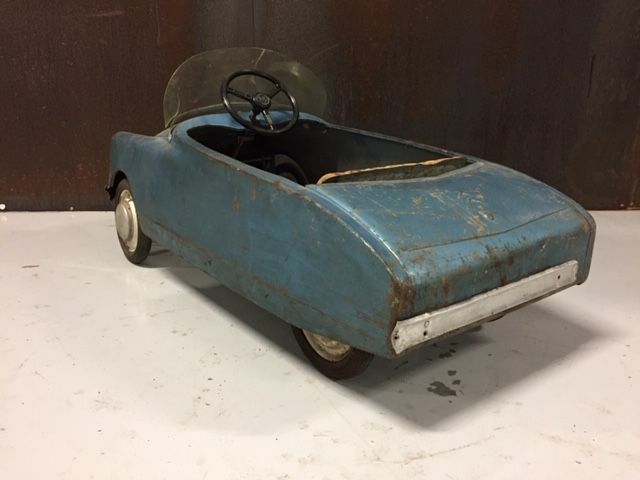 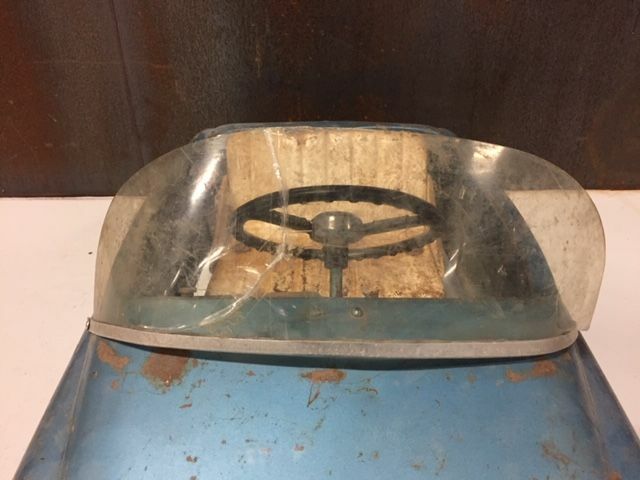 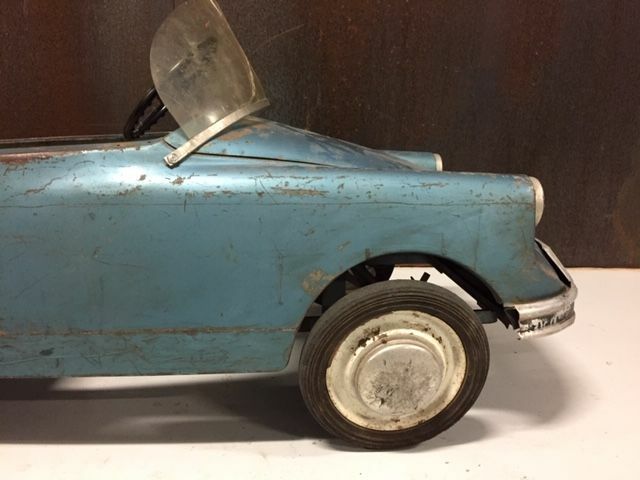 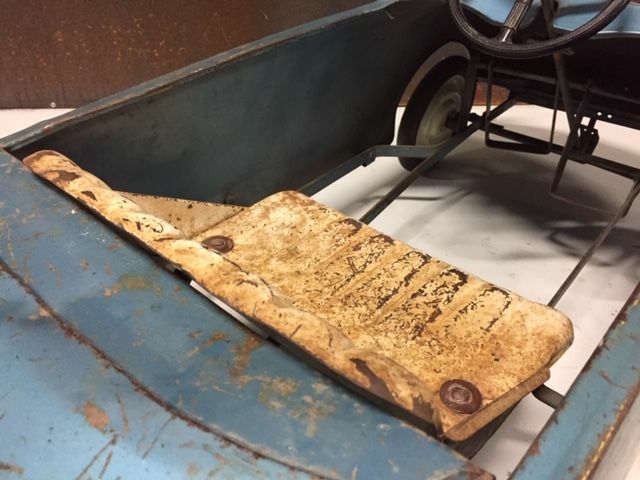 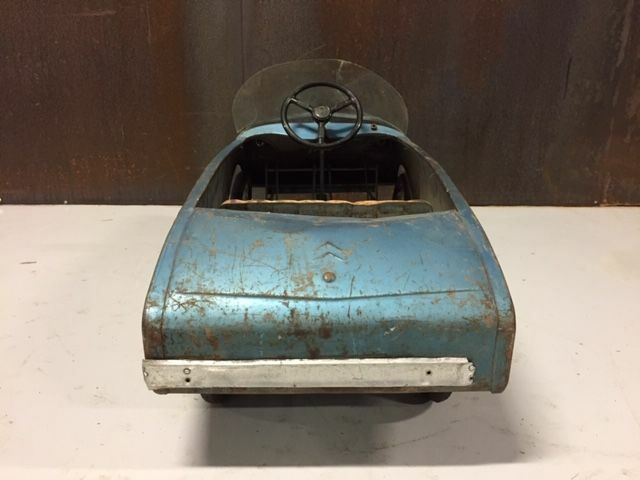 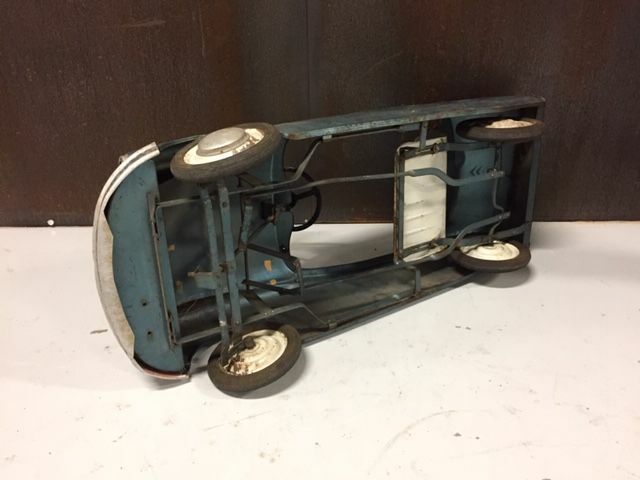 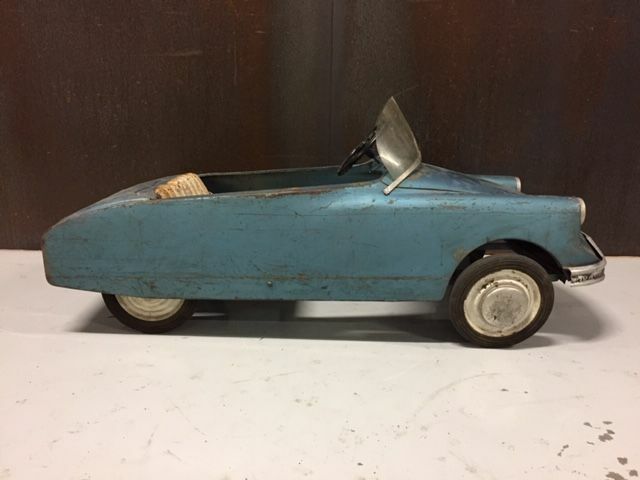 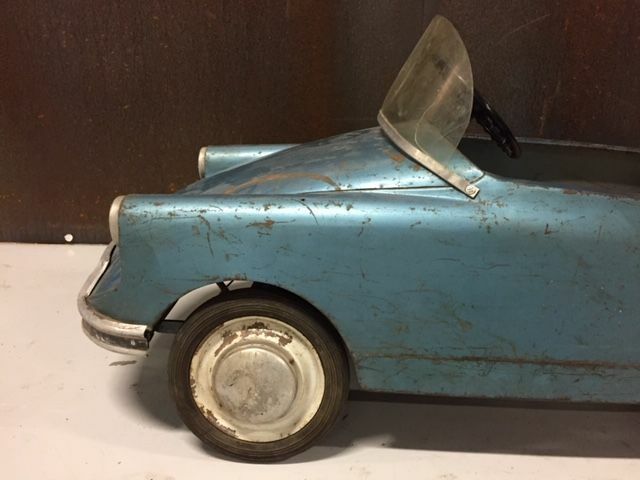 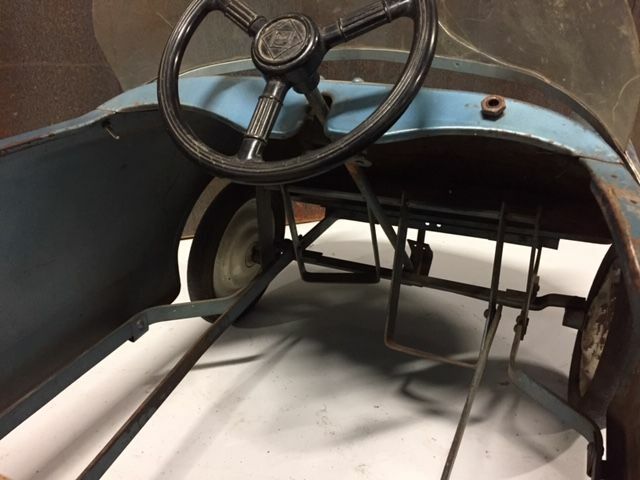 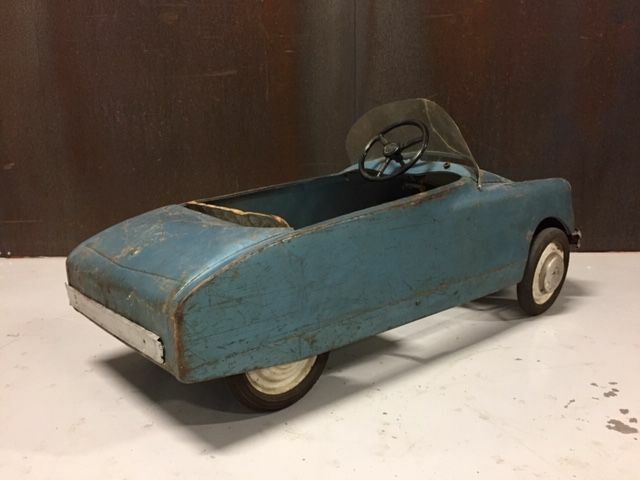 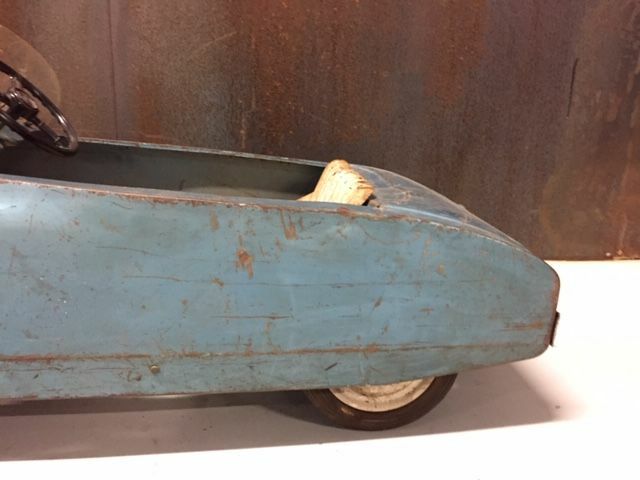 This pedal car was produced circa 1950s/1960s and is completely made of steel which makes this a sturdy object. 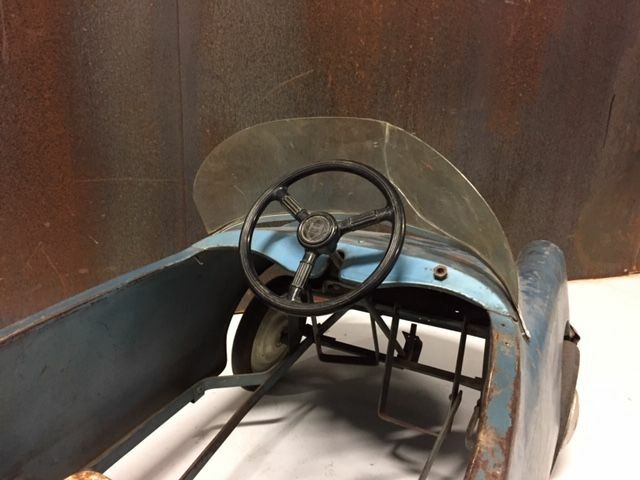 The windshield and the steering wheel are made of plastic. 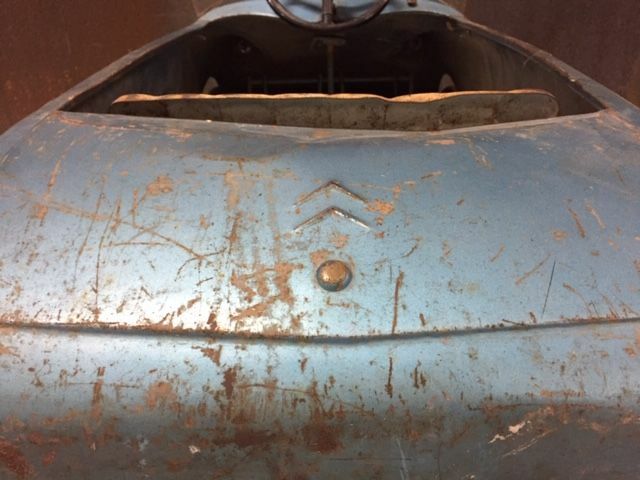 The Citroën logo is palpable on the “trunk”. 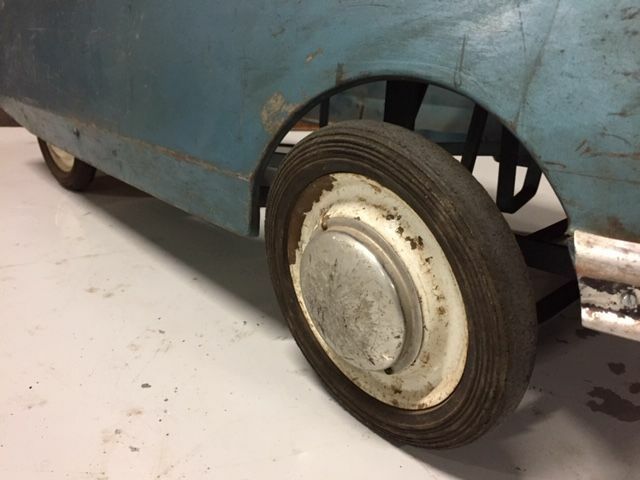 The vintage item is functional but has quite some patina and/or visible repairs due to its age. 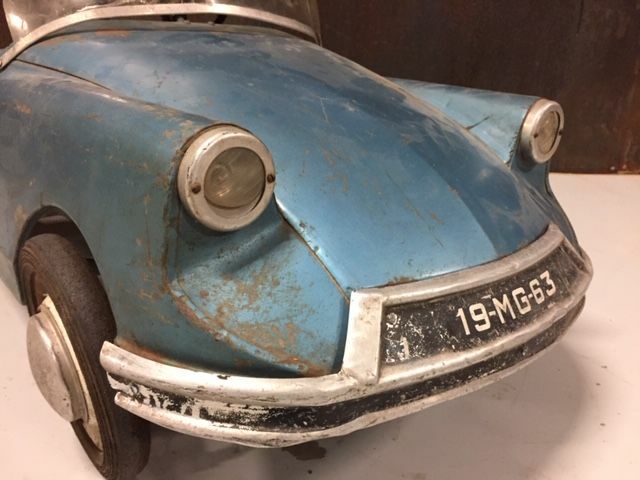 There is a small tear in the windshield, as depicted. 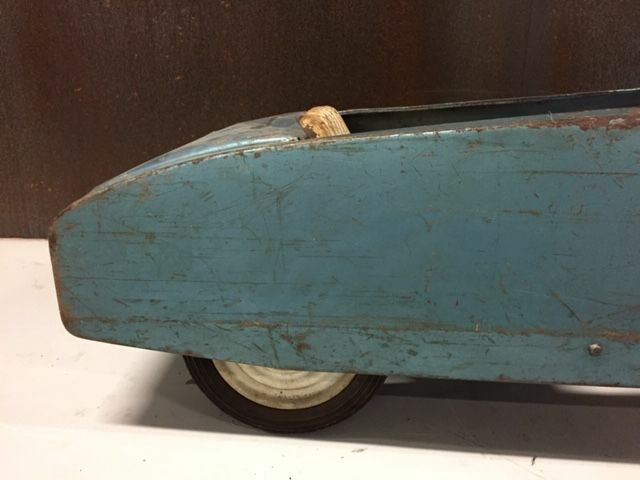 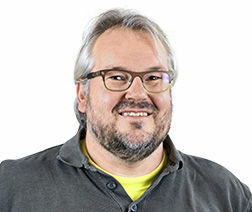 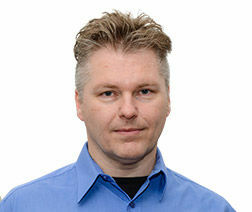 Shipping possible upon agreement via a courier.